Expensive makeup on a budget! If you're the average Jane, you can still get discount name brand makeup. 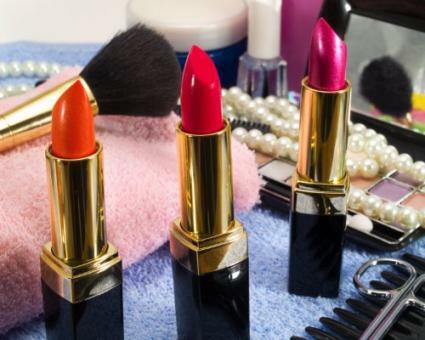 Your choices may not always be completely extravagant because what discount stores offer vary from month to month, but you can still score sweet deals even if makeup isn't your career. If you're a makeup artist by trade, you're in luck. You can get up to 40% off on your pick of products from the big boys of cosmetics. Whether you think department store makeup is worth the extra cash or not, it's always nice to find a bargain. Discount name brand makeup can be just as inexpensive-or even less expensive-than its drugstore counterparts. In a drugstore, you may pay $14.00 for an eye product. Go to a Cosmetics Company Outlet or get a makeup artist's 40% discount at a specific cosmetics store, and chances are, you have beaten that "low" drugstore price. If you've ever visited a Cosmetics Company Outlet, you know they don't sell the latest products from all the top department store lines. You also know that their stock is highly flexible from one store to another (if you've visited more than one in a short period of time). What you will have also learned, though, is that their prices won't break your pocketbook and you probably talked yourself into an extra item or two to make up for the amount you saved. To find out if there's a Cosmetics Company Outlet (referred to on beauty websites as simply CCO's), check this list. Then slap on your shopping shoes and hit the road. You can get great deals on cosmetics on eBay.com. You won't have to sift through used and unused products since they have a strict rule against selling used cosmetics. They all must be brand new. In some cases, you may even end up with a free sample of something else, such as a MAC pigment. With this one, you can choose your own country and browse the specific site right from the get-go. You can also get more than just makeup. Choose from men's and women's fragrances, skin care items, and more. Right now, they're offering a 5% extra discount when you purchase three or more things, free worldwide shipping, and a 1-10% loyalty bonus (so much for new customers getting all the rewards!). If you order from them twenty times, for example, you will get 10% off of that and all future orders. Some of the products are already marked down from their normal retail prices. The cosmetics portion of this site mixes brands like Clinique and Chanel with drugstore names like Max Factor. Makeup.com has discount name brand makeup all the time, for everyone. For example, an eye shadow at the MAC counter will cost you $14.00. On this site, though, they're still $12.00. Selection, however, is limited to what they have in stock. Don't expect to find the full range of all products here. Ebates is a fabulous solution for those who prefer shopping online to visiting a store. Signing up with an Ebates account earns you cash back on your purchases of all types, including cosmetics. Visit the site's list of stores in the health and beauty category to see a full list. Some of the deals include 4% back from Sephora.com, 12% back from BuyBeauty.com, and 6% from Beauty.com. The only thing you have to remember to do after you sign up is visit the site through the Ebates site rather than logging straight into the store of your choice. Not only do makeup artists quite arguably have the coolest job on Earth, but they get to reap the benefits of store discounts, as well. All it takes is proof that makeup artistry is their job. Here are a few stores that offer discounts: MAC Pro: Makeup artists get 40% off at MAC Pro stores and online. Cosmetologists, aestheticians, and other beauty industry professionals receive 30% off. See a list of benefits here. Origins offers 40% off on facial skin care and color products and 20% off on bath & body and hair care products. You can look and feel pretty from head-to-toe--for less. And don't forget about stocking up your makeup kit for work, of course. Makeup Alley allows members to swap new and used cosmetics. Make sure to read the feedback on members you choose to swap with. Prior to swapping, it's wise to check out how to sanitize the items, as well. Swapping used mascara, lip gloss, and potted eyeliners is not recommended. However, lipsticks, pencil liners, and eye shadows are easy to clean.